Hey everyone! 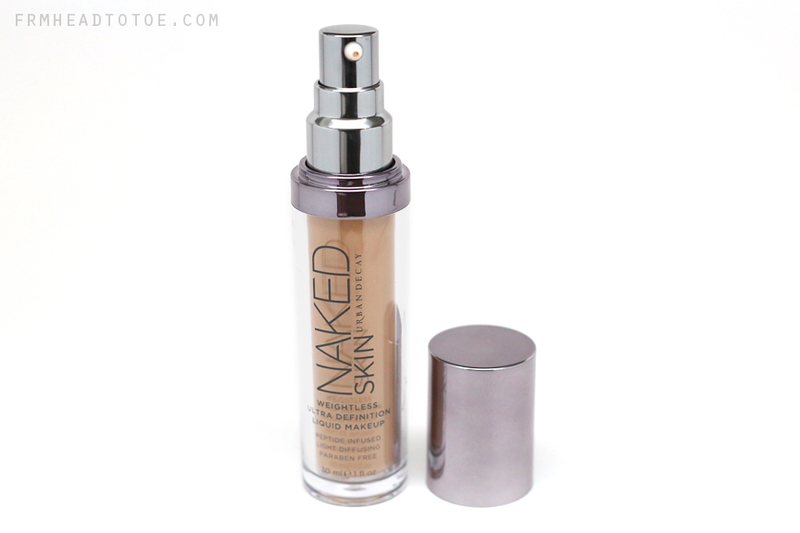 Today's review is a new foundation out from Urban Decay called Naked Skin Weightless Ultra Definition Liquid Makeup. It seems like nowadays every company is creating their own formulation fit to withstand today's high definition cameras and Naked foundation is no exception. I wanted to swatch and review three shades for you so can get a bit of an idea on the shade selection and how it wears. The foundation comes in a range of 18 colors from a porcelain 0.5 to a deep golden 12. Each shade ending in a ".0" runs warm or yellow-based while those ending in ".5" are cool or pink-based, so there should be a color for nearly anyone! I was personally thrilled to find this out since I seem to have difficulty finding the right yellow-based foundations to match my medium Asian skin. As you can see below, I have shades 0.5, 4.0, and 5.0. The shade the matches me perfectly is 4.0 although I'd be able to pull off 5.0 as well. The packaging, like on all Urban Decay products, is quite attractive. I'd be proud to have this sitting on my counter just because the metallic cap and clear exterior are so aesthetically pleasing. Also like most Urban Decay products, the entire thing is a magnet for fingerprints so if you are picky about that, it's something to keep in mind. One interesting feature is that the bottle contains mixing balls inside which you can actually hear when you shake the bottle as recommended. Here are swatches of shades 0.5, 4.0, and 5.0. 0.5: Very fair porcelain that would match MAC shade NW15. 4.0: Medium beige with yellow undertones. This matches my NC30 skin. 5.0: Golden medium. It has a slightly ruddier undertone and one step tanner than 4.0. 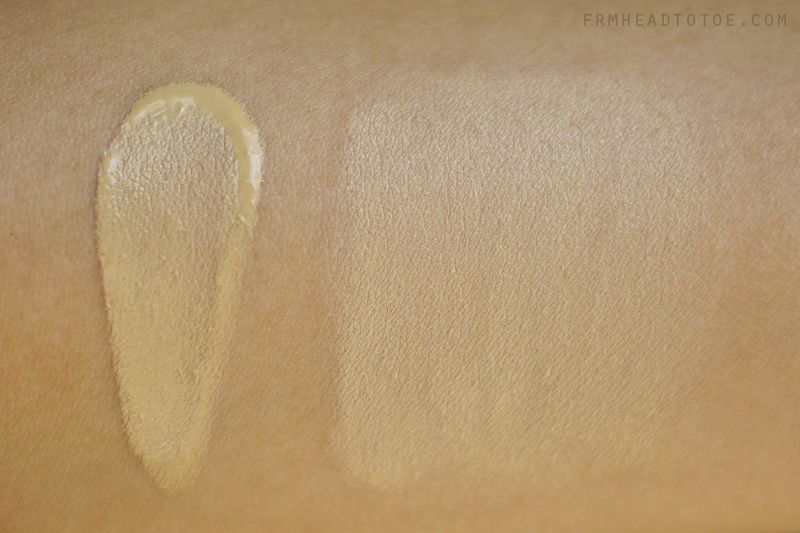 You can see on the left swatch how watery and lightweight this foundation is. The texture is actually much more liquidy than any of my other foundations yet it gives an overall light-to-medium, buildable coverage which leaves a beautiful satin finish. On my sensitive skin which has a tendency toward oily zones, the finish looks pretty incredible upon first application. I was shocked to notice that setting powder was unnecessary and this foundation didn't dry out my skin either. The formula is also oil-free, paraben-free, and fragrance-free, which are all huge positives in my book. The only negative I would say about this foundation is that it seems to break down quicker than most of my other foundations. At around the 5-hour mark, it no longer has the silica-smooth finish and I can tell my skin is significantly peeking through. It also contains no SPF which can be a good or bad attribute depending on what you want out of this foundation. 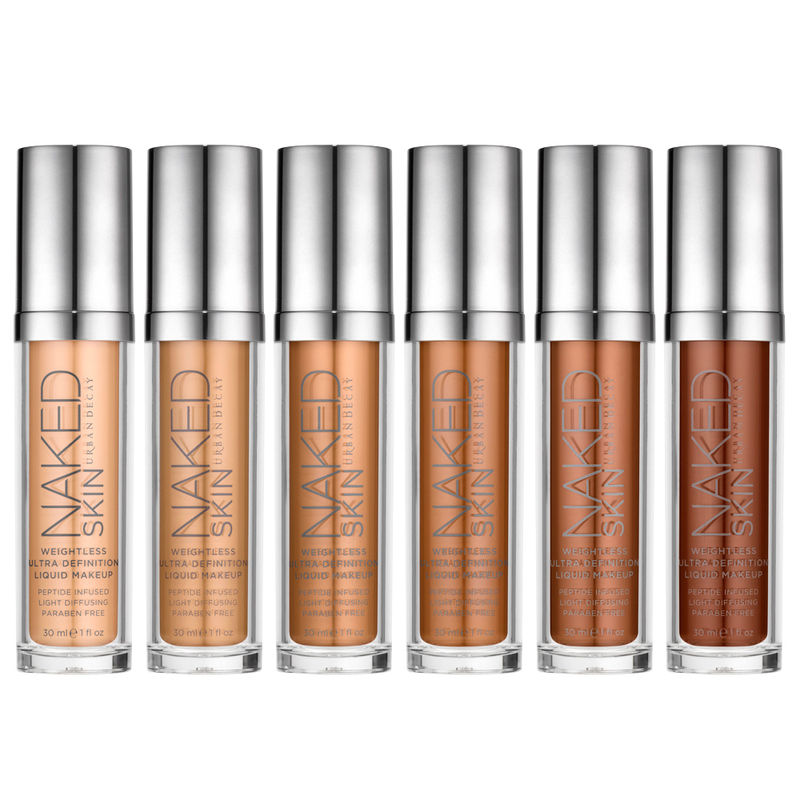 Naked wouldn't be my first choice for any serious filming or photography projects but works beautifully for an everyday, natural face. This foundation is now available at urbandecay.com as well as retailers like Sephora and beauty.com for $38. I hope this review was helpful for those of you looking for a new everyday foundation or were interested in purchasing Naked. 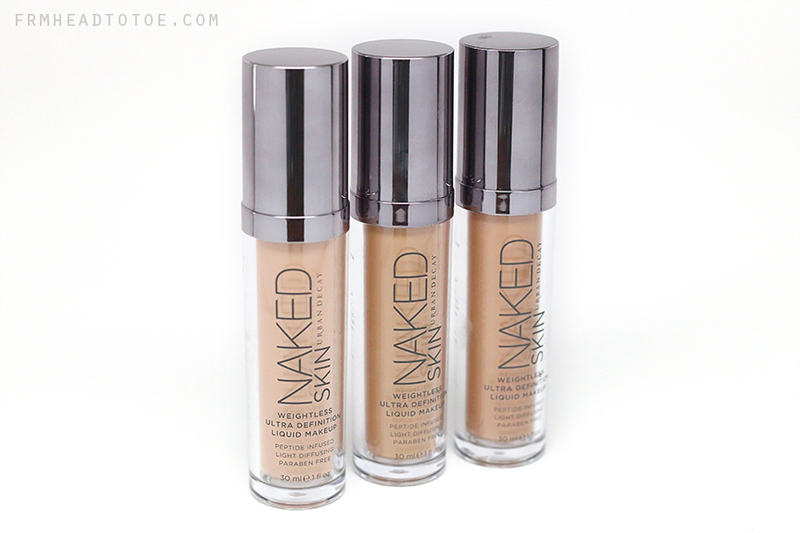 Have you tried out Naked foundation? What features do you look for in your perfect foundation? Let me know in the comments! I love that you actually give honest opinions. Thanks, Jen! I'm so glad you reviewed this foundation! I just bought a Naked 2 palette based on your reviews (one of my favorite make-up purchases, so thank you) and it came with several samples of Naked foundation. I loved the lightweight texture and how it didn't look caked-on, so I went to Sephora and got color-matched. It's a great "introductory" or "starter" foundation for people like me who are afraid of foundation (and don't really know how to apply it) because it's almost invisible on the skin yet leaves your skin looking more polished. I am curious to see you do a make-up application tutorial using this foundation because I'm unsure of the best way to apply it and I'd LOVE to know what kind of brush you'd prefer using to apply this foundation. I'm so glad you reviewed this foundation! I went to Sephora thinking about trying but passed because I love my makeup forever HD. 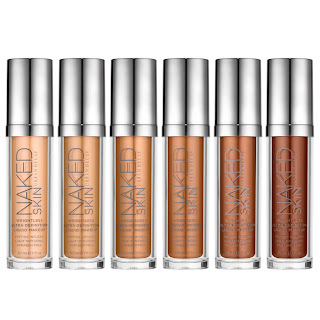 Now after reading your review, I can go back and give the Naked foundation a try. Thanks Jen! I love the finish of this, too, but I also find it breaking down more rapidly on the oilier parts of my skin. It's still pretty good. Definitely on par with the MUFE HD foundation. I look for foundation that will stay put well enough on my super oily T-zone. It's a bit pricey, but I'm not sure if I want to return this one either. How did you apply this? I dot it on my face and blend it out with a dense synthetic brush like the Sigma Sigmax brushes or Urban Decay's similar foundation brush. The dense brushes give a nice, smooth finish! thanks for the review! wish UD was more accessible in Australia though! So glad you posted this review, Jen! I will be visiting Sephora soon to check out some foundations. I don't want anything too heavy...so the one negative you mentioned about skin showing through after 5 hours might not bug me! Great review. I picked this up a little over a week aog and have been using it every day since. It is beautiful on the skin but the wear on it is not the best. It does not last on my skin all day through work and my skin is showing through in several places by the time I get home in the evenings. To be fair I have combination skin leaning more towards oily, especially in my T-zone and I use blot sheets often throughout the day. Thanks so much for the honest review! I'm a big fan of UD, and an even bigger fan of their Naked products (having purchased both eyeshadow palettes and their eyeliner pencil set), so I was thrilled to see that they had foundations as well! To be honest, my skin is clear enough so I don't have to use liquid foundations, so I regularly stick with matte powder ones. However, I'd definitely be interested into trying these! Great review! I will try this Foundation soon. Greetings from Bulgaria. 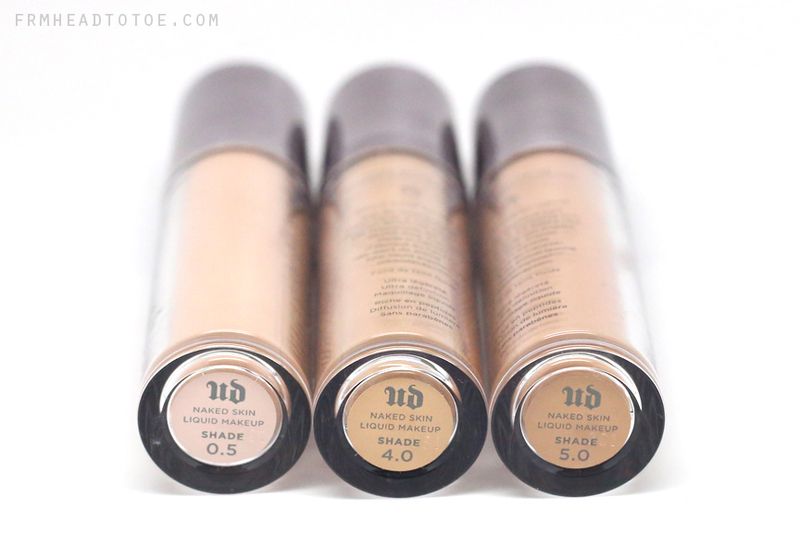 Do you prefer this foundation to the Make Up Forever HD Foundation? I do because the Naked in 4.0 is a better match for my skin than the MUFE HD 140 I have. It's also a lighter-weight feel on the skin, which I really like a lot. Hi jen!!! Thank you for this review!!! I have been eyeing on their foundation because the packaging is so pretty. Please check out my blog. I'm new to this blog world and trying to get a hang of it. I've been curious about the foundation. From what I've seen, 0.5 might actually be light enough to be a match for me. Need to get a bottle or at least swatch it at Sephora. Nice skin care tips you have shared. In this you have taken great healthy factor to discuss here. I was worried about trying this foundation because i have combo oily skin and most foundations break down on my skin so quickly. i might go to a sephora and give this a try though! I bought the 3.0 a few days ago, worn it everyday since and I love it. I kind of hate foundation in general but I was so surprised at how this felt when I tested it in Sephora--I bought it on the spot. I love it... even though it's a liquid and you pump it out of the bottle, the consistency of the product itself reminded me of Dior's spray foundation. It's spreads easily and you don't need much. Half a pump worked for my whole face. I really like it so far and recommend everybody at least go swatch it! Thanks for the review. 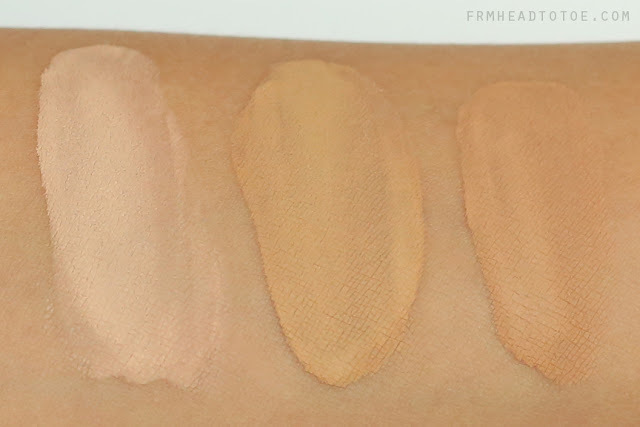 I too was drawn to this foundation for its wide shade range, especially shades with ones with yellow undertones! I ordered something from Sephora and chose this as one of the samples so I can't wait to try it out to see if I want it. I get oily in the t-zone during the day and this looks like a good foundation to try. I usually use setting powder so if this finishes off nicely then that saves me from an extra step each morning. Thanks for the review! I need to start being more conscientious of wearing makeup! It's crazy that all this terminology goes over my head sometimes, lol :P But for the sake of my freckles I now try to wear a little bit of bare minerals. I haven't tried the Naked foundation yet. I'm trying to use up my Neutrogena foundation because I don't think it'll match my skintone when my tan fades. I generally like to find a foundation that best matches my skintone and provides light to moderate coverage. It's hard (or rather, time-consuming) to find a good, affordable match for my Asian skintone so BB creams are usually my go-to face product. Thanks for the review! It was between that and the new stilia with the concealed on top. I ended up getting the stila because of the Anti aging properties. I also wear a moisturizer underneath that has SPF. I love the new stlia and it's wear is all day. Definitely recommend that over the new naked foundation. Thank you for your honest review, Jen! It's been a long time since you've done a blog post (that wasn't a YouTube video first), so it's refreshing to see this! I'm glad you mentioned the last two bits; I have oily skin, so I don't think this would be a good foundation for me, especially if it doesn't last for a long time. I love to try that!Thank you jen! I saw this at Sephora and asked for a sample of it and fell in love with it right away, from the texture to its color. Super natural, pretty much like a BB Cream but I'd say a little more hydrating. Lovely! Definitely go back to purchase it! I bought this in 5.0 too and it matches me well. I'm between a NC30-NC35. Great post! Thanks for writing a review post about this foundation! I really want to start investing in this product myself because I heard a lot of great things about it. Definitely can't wait to try them on myself and see how it goes onto my skin! You're definitely a great blogger and I love reading your post!Keep up at it! Make sure you use a primer first. Usually urban decays is the best. Then if your worried about all day wear, get the All Night Spray. It works amazing. My face has never looked better. :-) good stuff. I'm hooked. BB sucked!! This is far better for me. Hi Jen. Thanks for your review. Can you share how you know you are a NC 30 tone? How is this compared to Bb creams? the color more white pink?? :) gracias. valeria bs as argentina1! I think one big part of why this didn't last long for you is because it's water based and needs vigorous shaking for a good minute before application so that the pigment mixes with the water base well and adheres better onto the skin. I also found that 6.0 is a better step up for olive toned girls. I have very yellow Asian skin and found that 5.0 was too "orange" for NC35. Victor Kim Does My Makeup! July 2012 Favorites & Big Announcement!